How To Sell A Property In Probate In California? What is the Independent Administration of Estates Act? 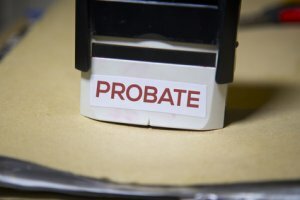 Why is it important if I want to sell a property in probate in California quickly? What is the difference between limited authority and full authority? Will this affect how I can sell a property in probate or inherited property? If you are granted limited authority, then you can conduct most actions without court approval. You cannot sell or option real estate without court supervision with limited authority. You also cannot exchange, or borrow money against a property without court supervision with limited authority. If you have full authority, then court supervision is only required if the personal representative or estate attorney is the principal buying the real estate, or if an objection is made to the Notice of Proposed Action (to sell the real estate). (Cal. Prob. Code Section 10501(a)). Does the court determine price and terms when real estate is being sold under the IAEA in CA? No. Under full IAEA authority, as an administrator, you do not need to gain approval from the court. The sale may be for cash or on terms. Is the administrator or personal representative supposed to inform the heirs of the sale? If so, how do they property notify the parties? Yes. The personal representative must file a “Notice of Purposed Action” to inform the heirs. The personal representative must notify the following people of the sale unless they’ve provided written consent to the sale. Mail or personally deliver the notice with all appropriate attachments to each person at least 15 days before the date specified in the Notice of Purposed Action. You cannot mail or deliver the papers yourself – you must have the mailing or delivery done for you by someone else. The Attorney General (if any portion of the estate will escheat to the State of California) and its interest, would be affected by the proposed action. You can also (and it is recommended that you do so, if possible) have each of the persons receiving the Notice of Proposed Action date and sign the “Consent to Proposed Action”. The person who mailed or delivered the Notice should complete a Proof of Service. This is a simple form and can be found readily online. Anyone who is required to receive the Notice of Proposed Action can object to the sale by delivering or mailing a notice to the personal representative. An objecting party can also request that the court order to restrain the personal representative from the sale without court supervision. The court must grant the request and may do so without notifying the personal representative. If the personal representative has been granted full authority under the IAEA, must the go thru with the sale under these terms? No. You do not have to administer the estate under these acts. There are advantages to administering the estate under these acts, however. It is usually faster, there are less restrictions and more freedom when administering an estate under these acts. How can I obtain an offer for the property in probate or a property I inherited in its “As-Is” condition? If you’re searching how to sell a property in probate in CA, there’s no easier place to do so than here. Cyndie Buys Houses can help walk you thru the process, and you won’t have to put up any of your own money to fix the place. We’re here to take the stress off your shoulders, and make it a seamless process for you and your loved ones. We’ve dealt with many situations, from fire damaged properties to real estate in probate court, and inherited property. We’ve likely seen a situation just like one you’re in, and we know how to handle it professionally, ethically, and seamlessly. We hope we’ve answered your question about how to sell a property in probate in California, but if we haven’t feel free to call us! Give us a call or contact us below for a free, no obligation offer on any property today.